Disclosure: This post is sponsored by Melbourne Watch Company. By Dean Stephens Last updated Dec 12, 2018 We may get a commission for purchases made via our links. Here's why. What’s the first thing you think of when you think of Australia? If it’s not kangaroos, Crocodile Dundee, Vegemite, or the word ‘G’day’ then you’re doing a lot better than most untravelled Americans. Because as you’re about to see, there are some formidable watchmakers on this list. These are my picks of the very best Australian watch brands. Let’s do it. 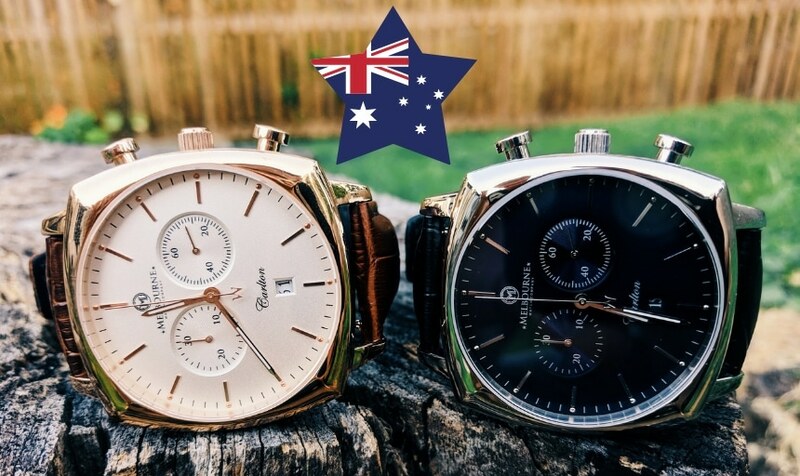 Founded in 2013 by former IT consultant, Sujain Krishnan, Melbourne Watch Company has swiftly grown into one of Australia’s most well-known premium watch brands. And it all started with crowdfunding. Wildy successful crowdfunding. The brand now self-funds their new collections and they have six available for purchase at the date of this posting. Over the years they’ve developed a distinctive style which I’d describe as a tasteful fusing of classic and modern watch design elements. With a touch of Melbourne influencing each piece. You see, each collection is named after a part of Melbourne, which ties in with their core philosophy—the city of Melbourne being at the heart of all of its designs. For example, with their 60’s inspired chronograph, the Carlton, the case back is engraved with a famous landmark that’s based within the suburb. I’ve been fortunate enough to have visited the city and so I think this is a really cool touch. Glancing at my Carlton makes me feel like I’m right back there—narrowly dodging trams and daily breakfast in laneways. You don’t need to have a personal connection to Melbourne to appreciate Melbourne Watch Company. You just need to have an appreciation for classy looking watches at a great price. Shop: Click here to shop the Melbourne Watch Company online store. Discount: Use code TAM15 for 15% off all full priced watches. Review: Check out our in-depth review of Melbourne Watch Company here. Bausele was founded in 2011 by Christophe Hoppe—an entrepreneur with a decorated career in Swiss watchmaking—most recently as CFO of Universo (part of Swatch Group), a well known Swiss Stock Exchange listed watch hands manufacturer. But arguably the coolest and most unique thing about this brand is that each piece has a physical part of Australia in its crown. And I mean that very literally. It could be sand from Bondi Beach, an Opal from Coober Pedy, or coal from Newcastle. In an interview with Le Courrier Australien, Hoppe says the idea came to him as he was admiring the beaches and landscapes of his new home in Australia and trying to think of a uniquely Australian concept for the brand. Given his background, his timepieces were always going to be Swiss-made. But Australian-design became the focus. And so, Bausele was born. The brand’s men’s collection is currently made up of a sporty divers’ watch, the Oceanmoon II; the aviation-inspired, Pilot Automatic; and the priciest and most unique entrant, the Terra Australis—a masculine 150g beast of a timepiece encased in ‘Bauselite’, a proprietary material created as a collaboration between Bausele and South Australia’s Flinders University. The Terra Australis is a bit out there for me stylistically, but the All Black Pilot Auto is still firmly on my wish list. Oh, and did I mention that Dominic Purcell from Prison Break is the brand’s Global Brand Ambassador? Anyway, there’s that too. Shop: Click here to shop the Bausele collection. Creux Automatiq is the product of Sydney’s Culét Jewellery—which is a collaboration between jeweler/designer, Scott Nicols and New Zealand graphic artist/rapper, Dane Rumble. Rumble thought of the name as he was hiking through the Creux du Van canyon range in Switzerland. Because you’ve gotta have a nod to Switzerland in any watch brand founding story, right? Creux Automatiq’s first timepiece was the Ghost CA-01—and its modern sports car inspired design set the tone for the Ghost series’ signature look. All of their watches are produced under limited production runs of between 100 and 200 watches worldwide, adding to their aura of exclusivity. And it’s almost as effective as all the ‘Sold Out’ signs on their online store. I’ll admit, I’m a big fan of the design of their watches—the original CA-01 still being my favorite. The brushed 316L Stainless Steel case, the skeletal dial, and even the stock rubberized calf leather strap, all come together nicely. Like, well—a finely tuned sports car. Based on their specs, you also get surprising value for money for a luxury, Swiss, limited edition piece. You get a sapphire crystal water lens, 33 jewels, and 10 ATM water resistance. The Ghost series also boasts a complex Swiss automatic movement called CA S24-SK8. It’s designed and manufactured by Swisstech for the exclusive use of Creux Automatiq. They’ve since expanded to three further iterations of the Ghost model (with an additional new Ghost Forged Carbon now available for pre-order. Shop: Click here to shop the Creuq Automatiq store. There aren’t many watch companies that have stood the test of time (how could I resist?) for over 40 years. Actually, for any company to last that long is pretty special. Brisbane based ADINA Watches is one of them. Founded in 1971 by Bob Menzies (who still heads up the company as Managing Director to this day), ADINA is one of Australia’s oldest watch companies. 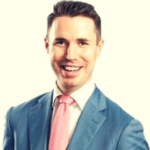 Bob’s son, Grant Menzies (featured in the above video), co-owns and co-runs the company as General Manager. It’s got that old-timey family-run feel to it. And if you ask me, that suits a watch and clock company to a T.
Bob founded ADINA with the dream of making a watch that could live up to the rigors of the Australian lifestyle. The kind of watch you could wear while you wrestle a crocodile and still trust that you wouldn’t miss dinner time. OK, I made that last bit up, but you get the point. In all seriousness, due to their reputation for sturdy craftsmanship and quality of materials, they’ve developed a strong following among farmers and other regional Australian workers. Each watch is designed and hand-crafted in their Brisbane factory—and they’re well practiced at it. They produce over 40,000 watches yearly. ADINA have a wide range of watch styles to suit any lifestyle or budget. Even their entry-level watches are handmade. I like that. As you’d expect, prices only vary based on the quality of movement and materials among different models. Shop: Click here to shop ADINA Watches. Founded in 2009 and headquartered in Sydney, Australia—Panzera, in their own words, are all about the “modern vintage”. In other words, putting a modern spin on classic designs of old for today’s generation of watch owners. Within each individual collection, they’ve kept a nice level uniformity, but they also offer enough difference of materials, movement, style, and strap options, to appeal to a wide range of tastes and budgets. I like this simplicity and the clean aesthetic of their brand. With offices in London, Zurich, New York, and Singapore, and a global network of service agents to support their global warranty coverage—Panzera has quickly earned its place as a formidable force in Australian watchmaking. Shop: Click here to shop Panzera Watches. And that’s a wrap. Overall, I’m impressed by the quality and uniqueness of watches coming out of Australia. I’ll be keeping a close eye on the market—and not only because I now have a few new watches on my wishlist. Have you tried any of these brands? Or do you think I missed one? This will be a fluid list and so I’d love to hear about it. Chat with me in the comments.